Hundreds of jobs have been lost or transferred at a facilities management firm, administrators have said. George Birchall Service in Newcastle-under-Lyme ceased trading on 28 March. Attempts were made to sell all or part of the company before it went into administration, FRP Advisory LLP said. 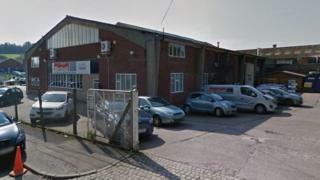 It said 400 employees had since been made redundant or had been transferred to replacement contractors. Attempts have been made to contact the company for comment and it has yet to respond. In September, 140 people lost their jobs when the same company's mechanical and electrical contracting arm, George Birchall Ltd, went into administration. Steven Stokes, partner at FRP Advisory, said George Birchall Service, which provided facilities management and building services maintenance across the country, had suffered "severe cashflow pressures" in recent months and "every attempt had been made by the directors to secure a more positive outcome". "Our immediate priority is now to support affected employees and work closely with clients to ensure the smooth transition of contracts," he said. "We are hopeful that this will include the further transfer of a significant proportion of the workforce to alternative contractors." Administrators said they were assessing options for the transfer of the remaining contracts and were in discussions with the company's clients regarding its next steps. A small number of employees at the company's Newcastle-under-Lyme and London offices have been retained to support with the wind-down of the business, it added.